Food safety and quality is one of the biggest concerns for many restaurateurs in the world, and Plano, Texas location as well. Since, quality of service and customers matters a lot in generation of revenue from the business. As per common rules, all restaurants need to store food item in a spotlessly clean area, and set up healthy environment for storage and food preparation. They need to abide particular by all the laws of food hygiene and storage by Texas Health & Human Service, to ensure customer satisfaction. Proper food storage and management needs to be spotlight of the business, and it is the responsibility of the owners to ensure that kitchen staffs are fully trained and well-versed in this area. If you are also into restaurant business, it’s important to know the basic methods of food storage for any commercial purpose. Commercial refrigeration system are important addition to any restaurants. It keeps the food and beverages fresh and healthy. The refrigerator system retains an operationally feasible temperature for maximum output and reduced wastage, just like the common refrigerators in home. There are four different sizes and options of refrigeration system available to you blast chiller, display freezer, glass top freezer and drawer refrigeration. If you do not own one, get them installed, if already had your refrigeration system but it didn’t working properly, come across commercial refrigeration repair Plano, TX. A food service operation needs to have clear knowledge about refrigerator temperature. Refrigerator temperatures should be at or below 40° F (4° C), and your freezer temperature should be 0° F. This information should be communicated properly to every staff members and all refrigeration equipment needs to be thoroughly checked on time to time. 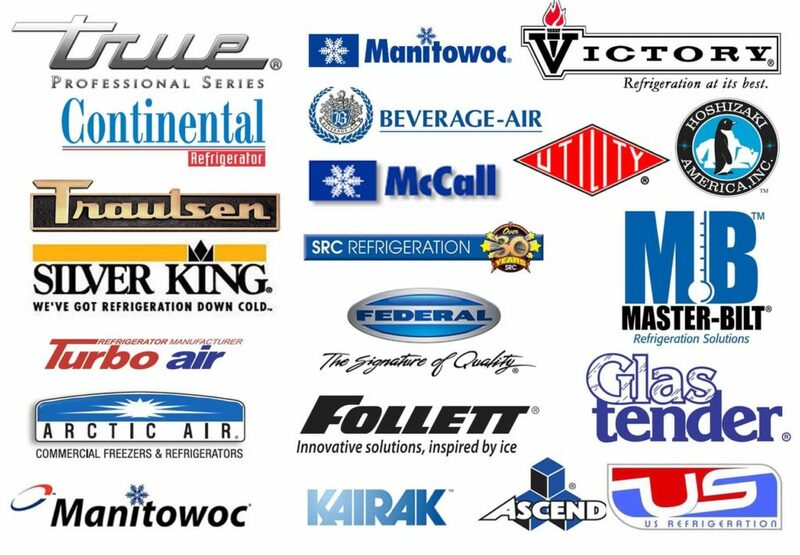 If sudden damage occurs, immediately get a commercial refrigeration repair Plano, TX. Make sure your small business makes better profit with right refrigeration unit. Storage of meat requires an ideally colder temperature than normal. Meat can stale faster than any other food item, so it is important to keep them in the freezer of the refrigeration. This act safeguards the food item against any contamination from meat juices dripping onto other food items. Make sure the meat is kept at low temperature, if correct temperature is not developing, and then ask for commercial refrigeration repair Plano, TX immediately. Storage of food items in freezers is an important portion, and its needs to rotate accordingly to avoid spoilage. Your staffs need to be trained to use FIFO rule, first in first out. Stock rotation is restaurant’s first protection against maintaining food quality; place the new food behind the older food to keep things in order. This will also help in organizing food wastage by ensuring nothings goes out of the date. If you want your freezers and fridges to work to the best of their abilities, then do not overstock them more than their capacity. An overloaded refrigeration unit can wreck havoc to the entire restaurant business. Your freezer temperature and cooling efficiency will drop, and the food product will fall into the danger zone. It may also increase the chance of food poisoning due to inappropriate temperature and insufficient cooling of the food item. If you want to get rid of these entire problem, immediately ask for commercial refrigeration repair Plano, TX or call professional to investigate your cooling system. One big step to commercial refrigeration unit installation can save more energy and lives. Above mentioned points are five best known methods for food storage in restaurants, To make more from it, you can keep food items in air tight containers, do proper labeling and most important; keep the area clean and tidy. It goes without any question, that all equipment, shelves and storage units need to be properly cleaned to safeguard against all contamination and infection. If the system doesn’t works, get the experts for commercial refrigeration repair Plano, TX from Enertia.